A few years ago Human Centered Design was unheard of, meanwhile many companies are already implementing this concept. One of the pioneers is Christina Taylor, Managing Partner and co-owner of Creaholic SA and author of ‘Oops! Innovation is no coincidence’. Fifteen years ago she went to Silicon Valley on behalf of Swisscom. Today, the approaches that she implemented at Swisscom are regarded as showcase examples of successful transformation. In the Taskfarm interview she talks about opportunities, stumbling blocks and upcoming innovation within the next ten years. In line with the Taskfarm concept, Christina Taylor was invited to the interview at the Corporate Culture Jam in Düsseldorf by Helmut Blocher, Managing Director of Succus Gmbh. 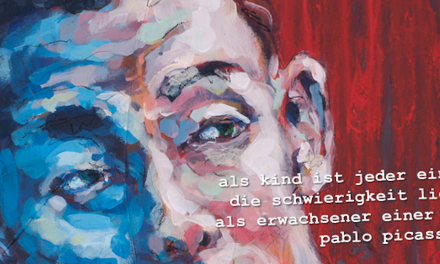 How did you introduce Human Centered Design at Swisscom? Christina Taylor: Initially the CEO and a few of his peers saw and understood the urgency. They proactively decided to take a path of change that affected the whole organization. It was a magical moment when four decision makers, while in Silicon Valley, made that decision. Anchoring this development top-down was essential and is still very important, although I implemented it bottom-up together with people directly from the organizations. We wanted to reinvent ourselves as a company and remain relevant in the market despite the ongoing digitization and massive attacks by foreign competitors. Our idea was to be entrepreneurially proactive rather than defensive. We knew we needed external influences to avoid a tunnel vision, but we still wanted to create change from within. When I founded the Human Centered Design Department, I deliberately chose this name instead of ‘transformation whatever’ because I wanted to align the change with the market and the customer. This allowed me to avoid slipping into technocratic, change-oriented discussions despite our technical, HR and change focus. The goal of change should always be oriented towards the market and the customer. The Human Centered Design department was commissioned to implement this approach, not only theoretically but also with very concrete, practical output. Our idea was to measure us against new solutions that were either introduced internally or were external seen on the market. Thus we used the Design Thinking approach: We imagined how our world would look like in four years and then re-engineered the steps to get there. What were the biggest obstacles and learnings that you encountered that you can pass on? Christina Taylor: If you want to do something you have to follow your intuition closely and set up a qualified feedback process that acts like a compass to point you into the right direction. That may sounds strange, but that’s the creative process you have to learn to trust. The biggest challenge is that you learn to navigate this creative process yourself, that you take ownership and don’t get frustrated by the challenges that occur all around you. There will always be people who ridicule you. Some people present you as an esoteric picturist, others say you are too tough. There are always people who find you’re lacking skills or who say: ‘We don’t understand what you want’. You will always have hundreds of resistances and you will probably never be loved. At best you will be admired or respected. Opening up is an important factor to create a cool team. It’s a challenge to take all the people along because they work with different speeds. Allowing openness, not having all the answers and not being a classic boss, but rather being the leader of a community, is another challenge. There were also some restrains that arose due to the organization of the company. One obstacle that may seem familiar to many is breaking the silos, as people keep on telling why something is not possible from their point of view. There are methods, tools and clever tricks to overcome this. Another obstacle was the change of my boss. For a while we had back up then suddenly we had no support at all, all of this within a year. You have to learn to deal with a lot of different people and to shift perspective in order to find a compromise that neither weakens the product nor your own philosophy. An important point is to ‘choose your battle wisely’. Women have to face special holdbacks, as we women are less used to fighting direct conflicts. The moment you enter the upper three to five percent of a company, you’re surrounded by power-hungry men and then you have those conflicts. You have to learn how to deal with them. Your goal has always been to make yourself abundant, so to speak. You have succeeded, what now? With Creaholic you have very successfully created something completely new. Christina Taylor: Creaholic was founded 30 years ago by Swatch co-inventor Elmar Mock and his two partners and has since successfully invented new products and services. Over 95% of Creaholic belong to its employees, management and partners. After we ‘made ourselves abundant’ we merged, but the company belongs to the shareholders. I bought myself in as entrepreneur, Swisscom took a small share of the company as a symbolic act to underline the strategic, long-term partnership. The inventor and maker DNA that is often lost in a group enriches Swisscom now through this partnership. My insight was that you will always need external stimulation. In the past my job for Swisscom was to bring the external input from Silicon Valley to Switzerland. Disruptive innovation does not work from the inside, a motor from the outside is necessary to drive disruptive changes. In which direction will innovation develop within the next ten years? Christina Taylor: In a ten-year horizon, it will become increasingly important to think from the customer’s point of view and to further exploit digital opportunities as those are the tools to facilitate, to bring more transparency and inspiration for customers. You could see how Zalando, for example, turned the whole shopping experience upside down. Digitization will provide new models of buying and producing. In my view, a return of production to Europe with Industry 4.0 and Smart Factoring is also possible. The more tailor-made and cheaper one can produce, the greater the possibilities of changing the geographical spread of the production sites. I also think that a lot will change within the structure of companies. Employees will no longer be satisfied with average work environments and tools. The new generation of employees will be less tolerant of complex user interfaces in accounting or enterprise resource planning. They will compare the three-click mentality of Google and the applications they are using at home with what is provided at the office and won’t understand why the same is not possible in the corporate environment. The power of the user, who always compares and buys where it is easiest and most inspiring, also comes to bear in the working environment. The way we work together and in the way leadership works will change. The understanding of how to manage companies and what tools and framework conditions are being used will continue to develop. Companies that focus on customer experience, that are value-oriented and support sustainability will be very successful if they live a certain philosophy of cooperation and transparency. I see great opportunities in this area, especially for European companies. Value-oriented corporate management and product design is a strong trend. What jobs will be needed in the future that don´t have a name yet? Christina Taylor: There are skills that are very important, that are not taught yet. One job, for example, could be ‘perspective changer’ or ‘lateral thinker’. Someone who can look at the product from a financial perspective, from a market perspective or from an employee perspective and really think outside the box. ‘The silo buster’ could be someone, who values the intensive co-operation aligned to a goal higher, than the entire internal politics. A ‘friend of the customer’, would be someone with empathy, who understands to read between the lines and tries to find a solution, which corresponds to the customer, but nevertheless works out business wise. ‘Authentic storytellers’ are needed. In an agile environment, stories are the best means of conveying content. A ‘prototyper’, someone who creates a prototype early in the process, gets qualified feedback and thus improves and develops a product or process. I also often use these ideas in leadership development seminars, because these approaches cannot be learned in business schools today. These approaches need a lot of dialogue and bridge-building work. 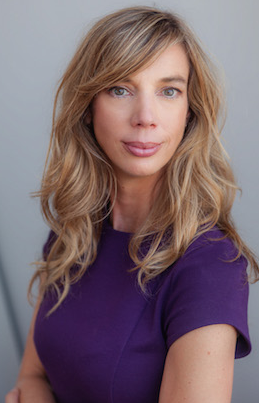 About: Christina Taylor is Managing Partner and co-owner of Creaholic SA in Biel, a leading Swiss innovation factory. She works at the interface of customer experience design, transformation and product invention. Christina’s experience ranges from the telecommunications industry (Swisscom) to non-profit organizations. She worked for five years in Silicon Valley at Swisscom’s Outpost and brought her knowledge of visionary entrepreneurship and human centered design back to Switzerland. Christina is the author of ‘Oops! 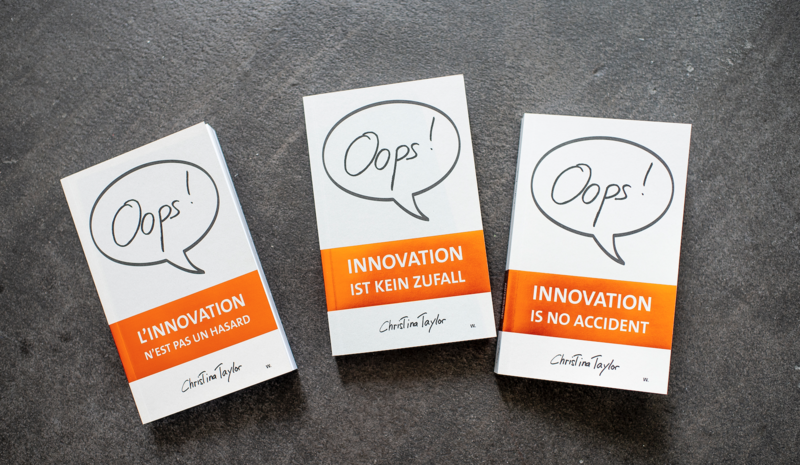 Innovation is no accident’, a book that describes Swisscom’s 15-year transformation from a traditional, technology-oriented company to an agile, people-centric company. Born in Biel, Switzerland, Christina grew up in an environment with different languages and cultures, in which she discovered her interest in people and their needs and actions at an early age.